IACS and our twin company iTools have more than 20 years’ experience in the design and manufacture of industrial inkjet printing systems. Our combined goal is enabling industrial inkjet integrators and print system manufacturers to solve new market challenges, cost-effectively, using innovative technologies. 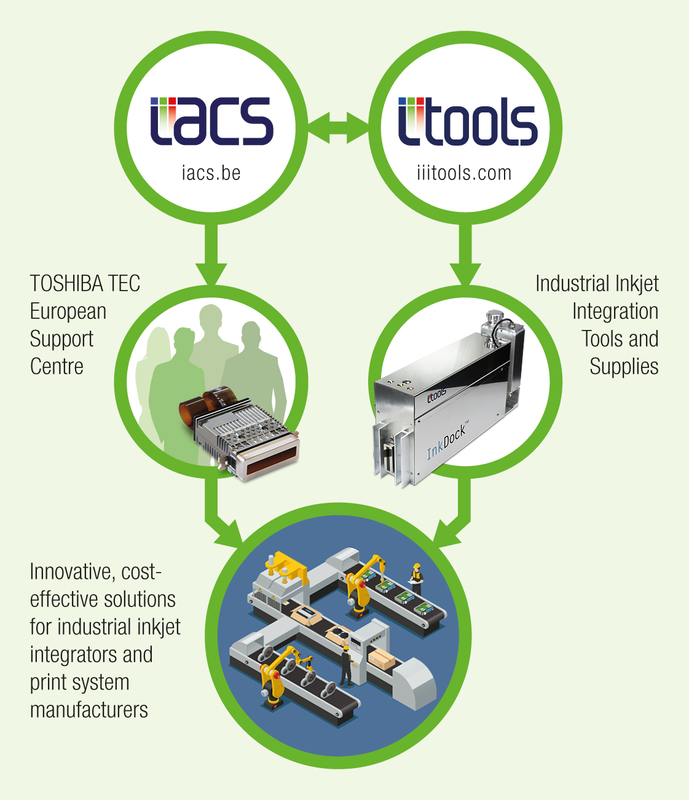 ​IACS focuses on our authorised European TOSHIBA TEC customer support, demonstrating print heads in customer-specific applications and assisting with print head integration in Ghent and at customers’ sites. We coordinate directly with the industrial inkjet section of TOSHIBA TEC’s European office in Germany and also with TOSHIBA TEC’s headquarters in Japan. iTools carries out independent R&D, prototyping and production of industrial inkjet integration tools and the supply of related components. We partner with many industry leaders, including ink and peripheral device manufacturers, in order to accelerate the adoption of industrial inkjet in new applications. Our products have been successfully integrated in a wide range of industrial inkjet markets – we primarily supply B2B customers, including OEM’s and system integrators. 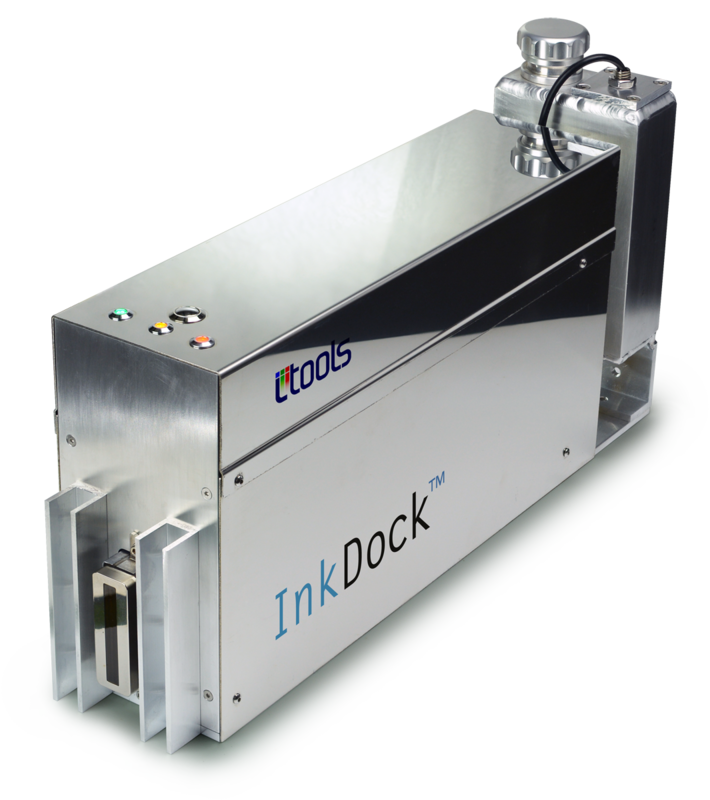 InkDock™ is our highly versatile and compact recirculating ink supply system that optimizes industrial inkjet printers’ jetting performance. InkDock™ is available in horizontal-, sky- and vertical-printing orientations for single head configurations, using various ink types. We recently delivered a prototype dual-head, horizontal-printing version. Current versions incorporate the TOSHIBA TEC CF1 family of inkjet heads. Our next implementation will use their higher-speed, 600npi CF3 inkjet head. InkDock™ can also be supplied without print head, drive electronics and fluid reservoir for easy integration with customers' equipment. Working as a close-knit team, IACS and iTools jointly analyse customers’ needs and deliver appropriate solutions. Our flexibility in design and manufacturing allows us to adapt our products to match very specific application requirements and to solve evolving challenges.